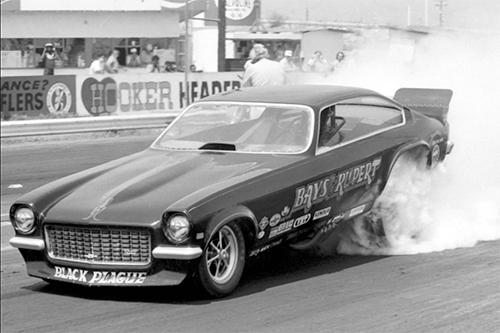 Remembering Nitro Drag Racing Legend Frank Rupert | Proformance Unlimited Inc.
On Friday, January 4, 2019 nitro funny car legend Frank Rupert passed away at 77 after suffering a heart attack. He spent his final days with his family and friends and his son, decorated Nostalgia Nitro Funny car driver Jason Rupert, carries his father’s racing legacy forward. Frank’s career began in the 1960s when at age 19 he began racing in the B/ and C/dragster classes in the Pacific Northwest. In 1965 and ’66 while behind the wheel of the “Eagle Electric” dragster, Frank was running 200-plus mph and shattering track records left and right. Before the Drag News Top 10 list was dissolved in light of sanctioning bodies and points systems, Frank Rupert and the “Eagle Electric” were number 3 on the list.